This final guideline has now been published on the NICE website. You can also find the supporting evidence, as well as all the stakeholder comments that NICE received during consultation and the responses to these comments. The comments were invaluable in helping to develop and refine the guideline. NICE has also produced an equality impact assessment to support the guideline. 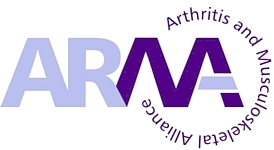 The recommendations from this guideline have been included in the NICE Pathway on Rheumatoid arthritis (update), which brings together everything that was said on Rheumatoid arthritis (update) in an interactive flowchart. NICE would like to thank you for your interest in developing this NICE guideline and any support you can give to promote its use in practice. If you have any further queries, please contact RheumatoidArthritisUpdate@nice.org.uk.